One of the biggest differences between Age of Conan and other MMOs, such as WoW, is their dedication to a realistic look in armor and weaponry. Funcom went for a purely realistic look in AoC and they achieved it. Armor is rendered in muted browns, reds and blacks. Weaponry is of a realistic size and actually looks like something a medieval warrior would wield. This is in sharp contrast to the fantastical looking armor and weapons in WoW, Aion or even Warhammer. I liked most of the armor and weapons in WoW but there were some that just went over the top. 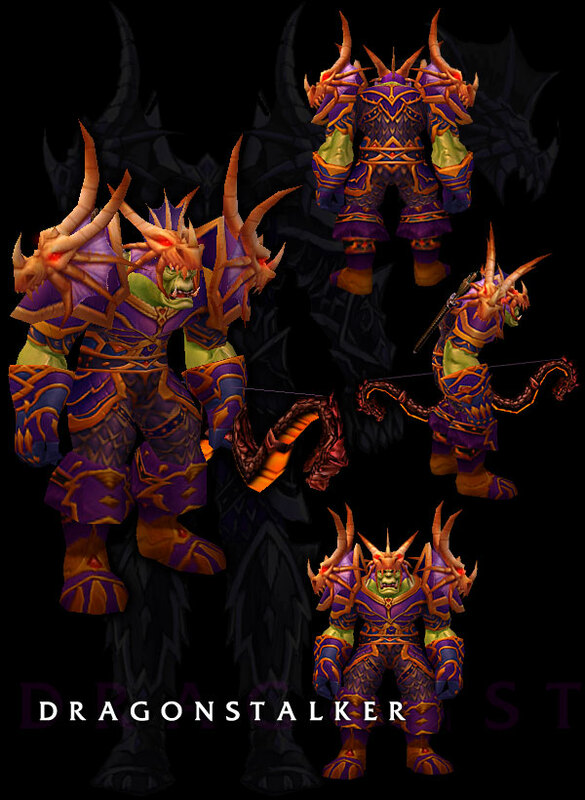 For instance, I liked the design of the old Dragonslayer Hunter armor from Vanilla WoW but, come on, gold and purple? Really?!?! Hunters are supposed to be nature like and blend in. Not stand out with garish armor like a pimp on a street corner! Some of the various doodads, skulls and such that stuck out of your armor were out of place too. I really do not need a huge globe of light dangling over my shoulders…thank you very much. Aion was even worse. I don’t like Anime to begin with, so Aion really pushed my buttons. Come now, a guy who probably doesn’t weigh 105lbs, yet he is carrying an axe that is three times his size and probably weighs 300lbs? Not only is he carrying it but he is doing flips with it? Nope. Not for me. Most MMOs fall squarely in one of those two camps. Either realistic or fantastical. WoW, Aion, Allods, FF11 and Tera Online all go the fantastical route. DAoC, AoC, Darkfall and, from what I have seen, all go the realistic route. There are some overlaps, however, with EQ2 and Warhammer having a mix of both. So, the question is; which do you prefer? Do you like the fantastical armor of WoW or do you prefer the gritty realism of AoC? The pictures above are not a fair comparison. The AoC engine is obviously better but, all things being equal, if they were both rendered in the same engine, with the same detail, which would you prefer?